Join us at City Lit Books on Tuesday, April 16th, 2019 at 6:30 pm for a reading from Night Moves with author Jessica Hopper, followed by a conversation with Tara Mahadevan. 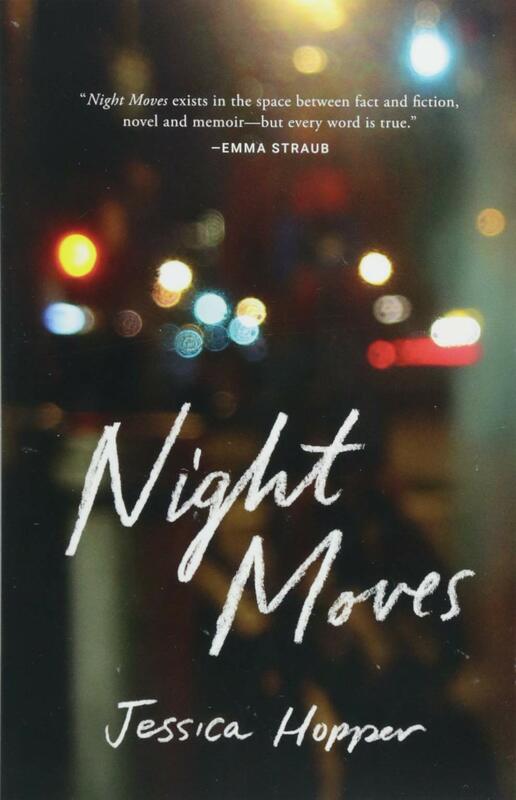 “Written in taut, mesmerizing, often hilarious scenes drawn from 2004 through 2009, Night Moves captures the fierce friendships and small moments that form us all. Drawing on her personal journals from the aughts, Jessica Hopper chronicles her time as a DJ, living in decrepit punk houses, biking to bad loft parties with her friends, exploring Chicago deep into the night. And, along the way, she creates an homage to vibrant corners of the city that have been muted by sleek development. A book birthed in the amber glow of Chicago streetlamps, Night Moves is about a transformative moment of cultural history—and how a raw, rebellious writer found her voice. Tara Mahadevan is a music journalist and cultural documentarian, whose work has appeared in The Fader, Village Voice, Pigeons & Planes and The Chicago Tribune, among others. She co-hosts the WGN Radio podcast The Cornerstore, and WGN Radio traveling podcast Radical Diaspora. Her work is an effort to champion music discovery, and emerging and indie artists—and to dig deep into the communities that rear them.